How should women fight for their rights? 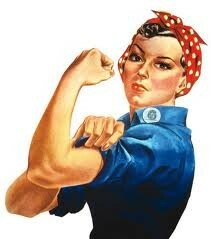 Women should fight for their rights by protesting and using civil obedience. Why can men get paid more for doing the same job as a woman? Men can get paid more for doing the same job as woman because equal rights laws and minimum wages haven't been passed everywhere. Why might people be against equal rights? People might be against equal rights because many men want to be superior towards women. Why is there still inequality amongst men and women? There is still inequality amongst men and women because it is difficult to completely change a way of life in many countries quickly, but there has been much progress made. Why should more people be aware and help fight for equality? More people should be aware and fight for equality because you should always treat people the way you'd like to be treated and women deserve the same for doing the same. How is women's rights related to other world problems right now? Women's rights is related to other world problems right now because inequality sparks arguments and unnecessary violence. How did women get more rights in the past? 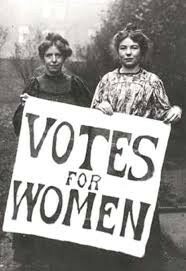 Women got more rights in the past by petitioning in front of the White House to get the 19th Amendment passed, which allows women over the voting age to vote.